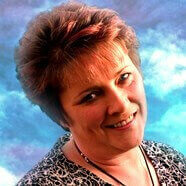 Shelly is a world–renowned medium, clairvoyant, clairaudient and clairsentient. She is a pure channellor connecting to a high vibration with her guide Argus. She is third generation psychic and has been gifted from the age of four when she saw her first spirit. Her gift comes from her grandmother and it was with her that Shelly first saw spirit. Shelly reads at a very detailed deep level. She validates throughout the reading with real specifics including names, places and events and is well known for giving markers in time. These can be random and odd, but the markers are often given at a time when they are needed the most. They are things that can be seen, heard and experienced and when they occur, it is a sign from the universe that things are on track to happen that have been predicted. Shelly gives spiritual guidance on development and spiritual tools to help you through situations. She can use and read with tarot and angel cards, but being a pure channellor she feels she is better and stronger without. Shelly has been reading at a high level for approximately 15 years and is very experienced in the delivery of a reading. Shelly is also a holistic therapist, and a qualified Reiki Master and Teacher, She is qualified as an EFT practitioner, having her EFT Foundation and Practitioner Qualifications. She is a very down–to–earth reader, gives total honesty and is non–judgemental. She draws on past experience to help you in whatever aspect of your life you need to focus on and is experienced in all aspects of life from relationships to work situations. Shelly astounds people with her accuracy in predictions and details that she gives. She asks every client to come into the reading with a pen and paper, as so much information will be given which may not be remembered. If the information given cannot be placed, all will come to light later. In her spare time Shelly spends as much time as she can with her family; looks after her menagerie of animals and time allowing loves to read a good book and watch a good film. She loves a quiet life and loves the beauty of living in the countryside. Shelly is available for Psychic Readings, Clairvoyant Readings, Medium, Spirit Guides Readings and Dream Interpretation Readings. Shelly and the connection to her guide are totally mind blowing! I'm in awe. Shelly and the connection to her guide are totally mind blowing! Her validations and markers as random as they sound are completlely accurate and happen within hours! This amazing lady is truly an angel that walks on this earth to help us. Cant wait for my next reading. My humble thanks and love. I've not connected with any psychic like I did with Shelly. Her understanding is unmatched and you can feel her sincerity as well as natural desire to help. We just got on so well so much appreciation for her. Shelly is way beyond HELPFUL! Truly Amazing! I am absolutely STUNNED with Shelly’s accuracy! The reading has been beyond helpful and made me feel so much better as it answered many questions and put certain aspects of my life into perspective. Thank you so much for your help, Shelly, you are amazing! I could not thank Shelly enough for this INCREDIBLY detailed email reading. It has deeply helped me a lot to find out more about the situation I am currently in. Thank you again. Absolutely loved the email reading. Shelly amazed me with all the details and events to happen... it was strange cause where I am I really don't see cruise ships and she said she kept seeing them.... for the past week there's been cruise ships popping up on my social media page .... I'm totally shocked. Can't wait for what is to come and to contact her again. Shelly is just exceptional. She's a kind and lovely lady and cares about her clients. Shelly's markers in time are spot on! I know I can trust what Shelly tells me. Shelly`s readings are absolutely spot on about everything that is going on around me. It is 99% accurate and I am very pleased with my reading experience with Shelly. Highly recommended. Shelly and her markers are just absolutely mind blowing! Had a reading with Shelly this morning. Within less than an hour of the reading I had seen the first marker that Shelly mentioned. I couldn`t believe how quickly things progressed as Shelly told me various markers but couldn`t be specific as to the exact timing. Thank you so much Shelly and I look forward to having another reading with you in the future. Please can you tell Shelly many thanks and say how accurate she was with names and things that are happening in my life. She mentioned Steve, which is my husband, Rachel who is my daughter, Margaret who is my neighbour and her friend Ron. Rachel has a dog to look after which pulls her. Spot on. My husband has been looking for a delivery job. Spot on. I am a reiki healer as she thought. Shelly is a wonderful person and a fantastic reader. She always has time for everyone and she is very very good. Thanks Shelly! Many many thanks, Shelly! I am all smiles! Shelly Many thanks! My migraine is so much better this evening. Thank you Shelly for such a wonderful reading. I was amazed at your accuracy and ability to pick up situations and people in such remarkable detail. I just want to say how great Shelly is. She is amazing and will tell you as it is. I was in a dark hole a few months ago, and she has helped me through. Her markers are brilliant and help you keep on track or focused when you need them. The experience is incredible, things she has told me have come true and others yet to come to fruition. I can't believe how after several months I feel positive about things. I'm glad I found her, wish I had sooner. She is one of the best psychics I have come across. Pleasant and honest. She picks up everything around you and validates as she goes along. Shelly is very accurate reader. Shelly's Prediction has come true. Looking forward to another reading, Thank you, Shelly. I have had a couple of readings with Shelly. Everything is spot—on. Thank you, Shelly, for sharing your gift. Very gifted, honest reader. A thank you with all my heart to Shelly for another amazing reading. Her wise words have made me feel like there's hope for me and my family during an extremely difficult time, many thanks. My heartfelt thank you to Shelly for her wonderful reading. At last I have peace and comfort following my Mother`s death. Shelly has assisted me greatly to help with my grieving process. Thank you and blessings to Shelly. My email reading from Shelly, which I received today, was accurate. My family was going through difficult times. Shelly's email reading reassured me that we are on the right path to recovery. God bless you, Shelly. Shelly blew me away! She is amazing, a very accurate and precise reader. Shelly gets straight to the point, and she has a very gentle manner. She is a credit to Psychics Connect. What a wonderful reading I had with Shelly today! As with previous readings, Shelly gave me time markers, one of which was I would see a 'mod.' Well I can honestly say at the time I thought there is no way that can happen I haven`t see a mod for years! Well tonight I opened the television paper and there right in front of me was a picture from 1977 of the most famous mod of all Paul Weller. I'm gobsmacked. Thank you Shelly, I'm sure I'll see things unfolding exactly as you have said they will. Shelly was amazing and the timelines she predicted are correct. She gave me accurate information and I am gobsmacked about it. She is always the same. Scarily accurate! Thanks, Shelly. I had the most amazing reading with her. My mother came through, as I had hoped. Within two minutes Shelly told me my mother`s name and that she was with us. Shelly was so accurate in the information she gave. One thing she told me was that my mother would send a signal to me that she was around me. This would be in the form of a bird or large insect, appearing out of season, so unexpectedly. The day after my reading, my son and I took flowers to mum`s grave. It was a bitterly cold day; the cemetery is up on a hill, so freezing! Just as we had placed the flowers, a large brown insect, a butterfly or large moth, flew right over the grave. We waited for ten minutes and not another creature appeared or made a sound! Not even any bird song, although it was sunny and in the afternoon. So, a creature out of season! Thank you, too, for telling me that mum had a fluffy, white cat in her arms when she came to you. It was her beloved Thomas! She was so upset when he died. I`m so pleased they`ve found each other again! I so enjoyed my reading with you. You are truly a gifted medium and clairvoyant. I look forward to speaking with you again. You brought me peace. God bless you. I had the most remarkable reading with Shelly this morning. My mother came through, as I was hoping. It was only a couple of minutes into the reading that Shelly said her name. She told me very personal and accurate things about her and passed on lovely and hopeful messages from her. She also told me that my husband had been very ill for a considerable time and that by my mother`s birthday in September, his health would improve. I have no reason to doubt that this will happen. Also, I asked her if I had a spirit in my house, for a long time I have heard footsteps, etc. the most frightening thing was when my cats were too afraid to go downstairs in the early hours one morning, I got up as I had heard footsteps on the stairs and nobody there! Shelly told me it was a male spirit, connected with the land, not the house. She didn`t know that a young man had drowned in a pond in the field in front of my house, some years ago. His father lived in the house next door but is dead now. She told me not to be afraid and gave advice on how to help him. Until she confirmed this, I thought it was all in my mind. She told me many other things and was so easy to speak to. I truly recommend her and will definitely speak with her again. I feel much more peaceful now. She gives the best validations I’ve ever had from any psychic (& believe me over the years I’ve spoken to A LOT!). She gives you the truth in a nice gentle way with genuine advice on how to move forwards with positivity. I have had many “yes your ex is coming back” readings BUT Shelly is the only one that predicted the longevity of this situation even when all the signs were pointing towards a reconciliation months ago! Shelly knew that this wasn`t to be & that a meeting we were planning was not going to happen so instead of being heartbroken I was prepared for the let down & it certainly didn`t hurt so bad, that`s not to say that I haven’t been given hope that we will one day reunite BUT at least I’m not sitting around waiting & am instead living my life with the knowledge that the more you hang onto the past the further away you push the future & all the good things it has to offer. Lots of Love to you Shelly. SHELLY...OMG, OMG, OMG! Incredible! Years of readings from random people and hand on heart never ever come across a psychic like Shelly. Only had reading today and she said that I would hear from my ex in “9”, probably days not weeks and it would be a prank text pretending to be someone else or for someone else (he has never done anything like that before) WRONG! Exactly “9” hours later I got a random text from an unrecognizable number pretending to be someone else. From a few devious questions I asked this mystery person I know it can only be my ex that finished with me. Also I had a marker of “Sam” and “the Midlands”, well earlier this evening I heard from my stepson `Sam` after over a year of no contact, he lives in Birmingham! He rang me. There were lots of other things that will undoubtedly unfold soon too. Please, please, please, trust this psychic & don’t waste your money anywhere else. She is an Angel on earth and has restored my faith completely. SENDING ALL MY LOVE! Shelly is an amazing and wonderful reader. She said that my marker in time would be someone talking about `Octopus and Squid`. This seemed strange at the time but then I heard it on the television out the blue. She is truly, truly gifted and I have recommended her to all my friends. I would like to say what a fabulous, wonderful, and accurate reader Shelly is. Everything she has told me has happened. Her markers in time are amazing and she has kept me going through a lot of fear and confusion. Shelly certainly is the real thing and has a very special gift. It’s no wonder she is booked weeks ahead. Thank you Shelly. I decided to have a reading with Shelly after a recommendation from a friend. Her reading was phenomenal. Jam packed with information and she was able to give me validation of certain aspects. I still cant believe how spot and fantastic she was. Shelly gave me names and dates and specific information and things unfolded as she said they would, amazing! I just had a reading with Shelly and she is amazing! Fantastic! I really liked my reading with Shelly. I found her to be down to earth, and a very interesting person to read with. I gave her some names and she was shockingly accurate with physical and situational details and descriptions. I highly recommend her. Shelly, you are amazing! Not sure if you remember our conversation last week where we spoke about the word Godspeed? You said that when I hear the word Godspeed, communication would come from the gentlemen in question. Well after this conversation I thought to myself that there was no way in the world that I was ever going to hear this word. In 39 years I`d never heard it used & was not even sure in what context it could be used. Anyway to my amazement I had my niece over last weekend & she was watching one of her favorite shows. Well lo & behold, someone in the show said `Godspeed`. I was gobsmacked & of course I heard from him after I wished him a happy birthday. It didn`t end there. Today I decided to have a flutter on a horse, which I sometimes do online, & again to my absolute amazement, one of the horses running was called `Godspeed`. Naturally I placed a bet on it & it came second. Not sure if this means I`ll be hearing from the gentleman again but Shelly words cannot describe how in awe I am in your ability & am so grateful to have found, after a very long search, someone like you that has true talent. I will definitely speak with you again in the future Thank you so much for all your help. Shelly is amazing, she gave me specific details which happened exactly as she said it would. Shelly, this is just an update on the last reading I had with you, you said that 'Robin' was significant and when I saw one or heard of one then I would have good news on the job front within 48hrs. Well I thought to myself at the time I've only ever seen them on Christmas cards and as I don't have a garden it seemed impossible, but as you always say look further afield and you know what, my mum phoned me and in the conversation she mentioned 'Robyn' which is my nephew's girlfriend's name, just out of the blue and as you probably already know I got the offer of a job just as you had told me. I couldn't be happier, thank you so very much. Hi Shelly, Had a reading with you on 25 Feb, thank you so much, you explained everything to me in a way that I could understand totally, gave me predictions that I can believe in and numerous validations. You are straightforward and clear and you don't waste time. I think you are fantastic and I look forward to having another reading with you (longer one this time) soon. I've been having regular readings with Shelly and am just back to share another thing that has come true. I applied for a job in February and asked if I would be successful, she told me she didn't see this happening until March/April time which was odd because the job app closed right at the beginning of Feb. Well I have had an interview in March and have just been told I have the job, effective from 1st April....so Shelly was right again! I was gobsmacked by the accuracy and detail that shelly revealed during her reading. It is rare to come across a reader as genuine and coming from true integrity as her, As a psychic myself I rarely recommend other readers but I cannot recommend her enough. She will blow you away. Having had readings all over the globe she really is world class. I had a wonderful reading with Shelly earlier this year..she made me weep with her insight and understanding. What has been incredible since then is Shelly's guide, Argus, gave markers in time.. one he gave me was a hedgehog..... and wow have I been seeing hedgehogs...live..cartoon..on bookmarks..on greeting cards...on sunscreens..childrens characters..on TV!!! I asked Shelley recently if this was to help me keep the faith in the predicted outcome..she said yes...I went out directly and saw a live hedgehog..I smiled as conformation that Argus is quite something and does not leave you alone in your worry. Wow! wow! is all I can say about Shelly's first two readings I've had. Amazingly spot on about my man and situation. One of her predictions has already happened and I'm sure the others will happen. She's an amazingly gifted reader and her guide argus make a fab team. Thanks Shelly, I will be updating you as things unfold as you said. Shelly has constantly given me validations, markers in time and facts that could not be known to others. Always delivered in a caring, warm and empathetic way. She is unique, highly talented and truly gifted. Thank you my friend for sharing such a profound gift with me. Shelly will call you on either your landline or mobile. You can pay by credit / debit card or PayPal. Prefer an email reading with Shelly? To assist Shelly, you can provide details of your current situation and the influences around you at the present time.